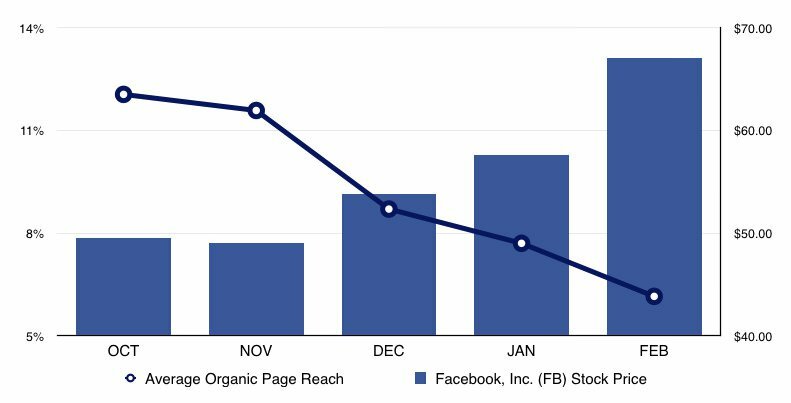 Organic reach on Facebook is dropping constantly. Currently, according to optimistic data, an average Facebook post reaches around 5% of page fans. However, there are other stats available claiming that the average organic reach of a Facebook posts can be as low as 2%. So if your Facebook page has 1 000 fans, your new post will be seen by 20-50 people in average. A study by Locowise has also shown the dependency of organic reach on the number of likes. Pages with high number of likes have significantly lower organic reach than “smaller” Facebook pages. It is natural that companies are looking for a way of increasing the reach. As the last data by DMR from 2016 state, the average reach is 10.71%. This proves so many companies are using post boosting to increase their reach. Actually, according to Social Bakers, 75% of brands were promoting their Facebook posts in 2015. This represents an increase by 120% compared to 2013. Too much data? Just the last one to add. In total, 13.5% of Facebook posts were promoted by brands (as this Social Bakers’ study reveals), but these posts created more than half (51.7% exactly) of all interactions. There are three main reasons for this situation. The first reason is connected to the amount of content. Each year, people are sharing more content on Facebook, thus, the number of posts potentially showing on one’s Facebook News Feed is growing rapidly. According to Facebook’s own data, the number of posts shown on an average user’s News Feed every time he logs in to Facebook would be 1 500. Can you imagine scrolling this huge number of posts every time? In some cases, this number could grow up to 15 000. The second reason is that people are liking more pages than in the past and this further increases the competition within the News Feed. According to the data published by Techcrunch, the number of liked pages grew by 50% in 2014 compared to 2013 in average. Facebook is also improving the algorithm that decides which posts to show to each user. By implying sophisticated rules, it selects only those posts that are most likely to be interesting for the target Facebook user. This fact and the natural need for massive filtration in News Feed are causing the organic reach to decline. Over the 5 months, Facebook’s stock price moved from nearly $50 to nearly $70, adding billions of dollars in market capitalization. Thirdly, and not least importantly, Facebook lives from advertising. Therefore, decreasing organic reach of posts naturally increases the amount spent on Facebook advertising. Companies need to compensate the lower reach and decreased engagement and do so by paying for post boosting. An interesting analogy was observed by Jay Baer while looking at the decline of organic reach which was really massive between October 2012 and March 2013. During this short period, the average organic reach dropped to half, approx. from 12% to 6%. In this same period, Facebook stock price has increased from 50 to 70 USD. Naturally, the income from advertising has been rising further as there is a time gap between people realise the effects of dropping organic reach on their business and turn into spending more dollars for FB advertising. To get better results and use Facebook for marketing of your products and services properly, you need to make use of paid Facebook advertising. Specifically, the most common and easiest way of increasing the reach is post boosting. Most of the post boosting done by page admins has a very simple form. New post is published, post is boosted and final check is done. There is no concern about budget, evaluation, or time efficiency. This can be done better, much better. In the next part of our advice article we will argue that a logic is needed to select the post to be boosted and applying this logic can optimize the reach and costs of the campaign. On Facebook, inverted logic for post boosting should be applied. Posts that nobody cares about and are not performing well (weak engagement, poor organic reach, few link clicks) are not worth spending your money on. In comparison, a well performing and popular posts that communicate your marketing objectives well deserve a little push to reach even more audience. Any small amount of paid promotion on such posts will multiply the positive effect gained organically. Unfortunately, we still keep hearing the exact opposite: “this one is doing well on its own, lets save some money” or “this one didn’t get any reach, lets boost it”. All wrong. Promote the good ones, forget the bad ones. Do you agree? If you do, another question comes up. Who in the world has the time to evaluate each post individually? Don’t you want to spend your time on reaching the primary business goals instead of exploring Facebook Insights the whole day? 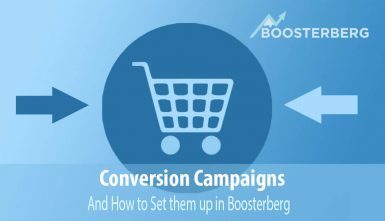 Meet Boosterberg, an automation tool for Facebook post boosting. 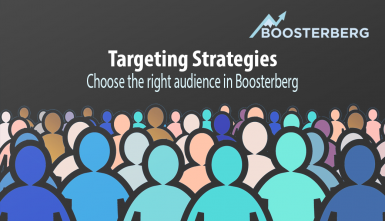 With Boosterberg, you can boost only posts you think are worth boosting. Whether these show better performance or aim to promote a specific product, you can customize Boosterberg settings to boost posts based on Organic reach, Engagement, specific keywords in the text and other criteria. 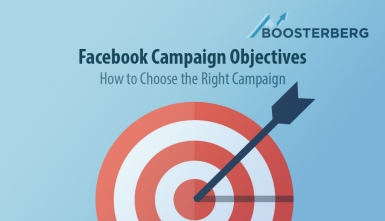 With Boosterberg, you do not need to spend your time analyzing and deciding how to divide your Facebook budget in the most reasonable way. Boosterberg does it for you. Our “Smart presets” will help you operate the tool without being a Facebook Ads Master. If you are one though, and you are looking to get the most out of your Facebook paid campaigns, you can make use of the Advanced settings. Try our Free 30-day no credit card needed trial and decide for yourself, whether you can promote your Facebook posts more efficiently.